Call 904.449.3986 Black Creek Services, Inc. for small engine services in the Jacksonville Florida area, including diagnostics, tune-ups, and repairs. 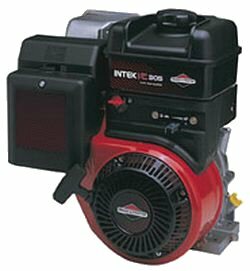 Located in Middleburg, Florida, Black Creek Services is a professional repair service for small engines. Black Creek Services, Inc. provides small engine services in our Middleburg shop, or on-site. We can provide pickup and delivery – prompt and efficient service. No small engine repair job is too big or too small. Call us at 904.449.3986 for a free estimate. Since we started our small engine service business in 1998, we have established a reputation for quality prompt and reliable service, for the satisfaction of our customers. Black Creek Services covers the Middleburg and Jacksonville area, including Middleburg, Fleming Island, Orange Park, Jacksonville, and Green Cove Springs, Florida. If you need small engine maintenance or repair services, call 904.449.3986 for dependable Black Creek Services, Inc.